I've grown tired of Thick Necks each Thursday as evidenced by my lack of updated posts. I mean, how many times can I post The Rock? lol... but BEARDS? Yes... I can easily find men of all shapes and sizes that are about that #4EverBeardSeason life. There's something so amazingly wondrous about a man that can not only grow a beard, but rock a luxurious one. 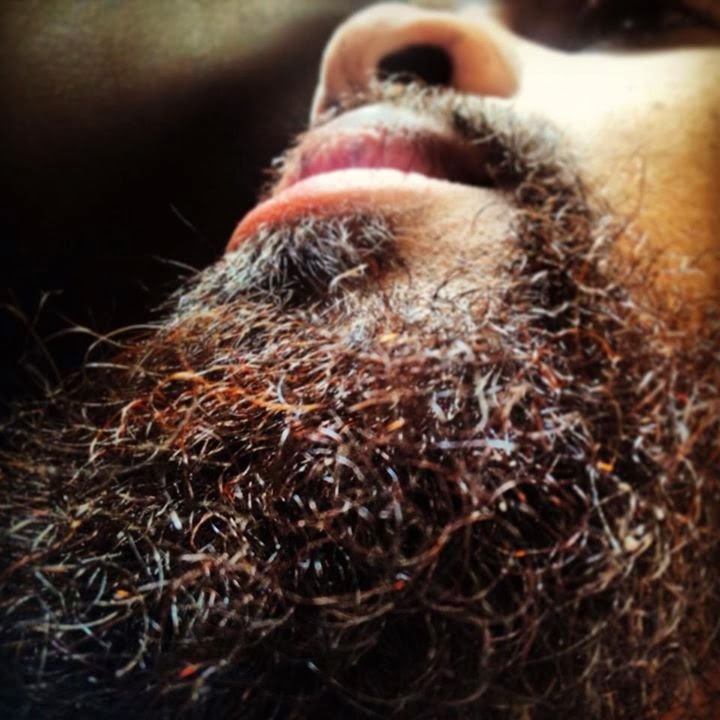 I love thick necks... but I swoon for men that rep #BeardGang. Starting things off I'm featuring the owner of the best beard in all of the land, my boyfriend. His beard looks as if it's been dipped in the finest of juices and berries... bathed in milk and honey... then topped off with a dusting of cinnamon delight! The force is strong in those auburn strands and I'm its biggest fan. When we first started dating I remember putting him on to Whipped Good's "Beard Butter" (a must have for anyone with a beard) and between that and olive oil, his beard entered the legion of the greats. He consistently gets complimented on his beard and asked for tips on how he's made it so great. The answer? Beard Butter and Olive Oil...and a dash of jedi magic! Welcome to my world where it's always #BeardSeason.